Thrilled with the news that our research proposal What Is Governed in Cities: Residential Investment Landscapes and the Governance and Regulation of Housing Production is awarded by prestigious ORA funds, a European scheme in which the Netherlands Organisation for Scientific Research (NWO), British Economic and Social Research Council (ESRC) and French Agence Nationale de la Recherche(ANR) participate. As a consortium lead by Prof.Dr. Mike Raco (UCL) with the contribution of myself and Prof.Dr.Patrick Le Gales (Sciences Po, Paris) we will explore the complex governance landscapes created by property investment markets in Amsterdam, London and Paris for the next 3 years. Fainstein’s detailed work on ‘The City Builders’ (1994) clearly defined property developers in the 1990s as the main agents of change within processes of urban development. The position of these actors, shaped by the global circulation of capital, has become more dynamic, and their identities more liquid and complex over time. The ‘social relations’ especially between developers and investors, and their relational positions in the real estate industry, have changed rapidly especially after the crises of 2008. Within the dynamism of the real estate industry, the variety, type, and purpose of market actors across the investment and development sectors has been both adjusting and transforming. This Call for Papers invites contributions that explore the politics and practices of contemporary urban development with a focus on the real estate industry. 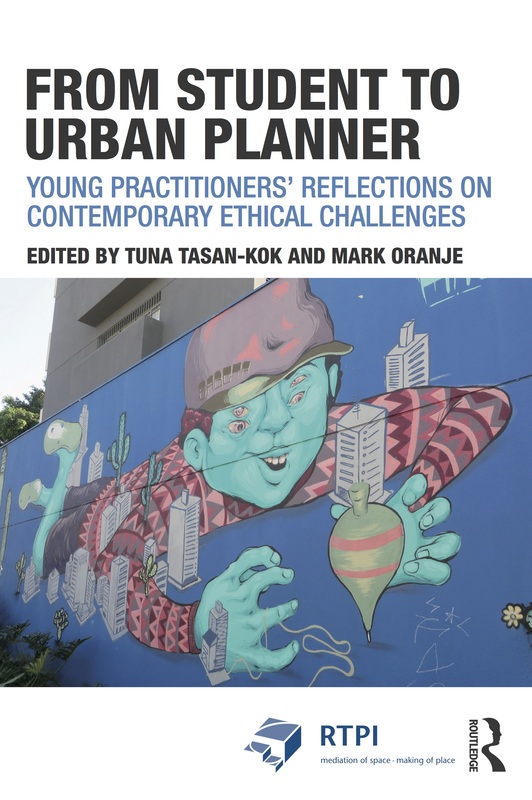 Our working hypothesis is that much of the critical literature on urban development, and many of the policy frameworks that shape planning systems, characterize the real estate and investment sector in a simplified way. They are often presented, implicitly or explicitly, as a unified interest with a clear subjectivity built around: ‘fast’ returns from investment decisions; a lack of ethical concern with broader public interests; outlooks dominated by the conversion of diverse places into high-return, single-use investment spaces; and a bullying and aggressive approach towards citizens and government authorities who seek to disrupt their programmes and projects. We call for papers that critically engage with Campbell et al.’s (2014) argument that ‘the view of real estate markets in much critical analysis is very one-dimensional, assuming an inevitability about the nature of development outcomes…researchers and practitioners should develop much more sophisticated understanding of the pressures and priorities of developers and their investors’. Moreover, under conditions of contemporary globalization we are also seeing the emergence of new investment landscapes underpinned by a plurality of institutions and actors. Projects are now funded by complex investment vehicles with finance sourced through Sovereign Wealth Funds, private family-centred interests, foundations, charities, or even public sector authorities (including local governments and quangos). There is thus no one ‘developer’ type and yet ‘despite their status as the drivers and coordinators of the property development process, relatively little is known about the perspectives, actions and strategies of property developers’ (Henneberry and Parris, 2013: p.242). The modes of regulation and governance that are used to shape the activities of investors and their effectiveness and influence. Please email enquiries and abstracts (250 words) to Mike Raco (m.raco@ucl.ac.uk) by October 13. Authors will be notified of acceptance by October 20, and must register for the conference and submit their abstracts through the AAG website by the October 25 deadline to be added to the paper session.